Gurjot Thind is a 3rd year History student and Sport Editor at The Student. His dream job is to either write for The Game or be the guy who plays the trumpet for Rudimental. The Fédération Internationale de Football Association (FIFA), football’s world governing body, was again racked by scandal this week when it was announced that Michael Garcia, an independent ethics investigator, had resigned in protest over the handling of a report into alleged corruption. The report in question looked into the bidding process for the 2018 and 2022 World Cups, set to be hosted in Russia and Qatar respectively. Both nations face serious allegations of corruption and have been accused of bribing officials on the selection committee. In November, FIFA published a 42-page summary of Garcia’s 430-page report, in which both Russia and Qatar, to his surprise, were cleared of any wrongdoing. Despite immediately voicing outrage Garcia’s complaints were labelled as being “not admissible” by FIFA. Garcia went further, explaining that he had lost confidence in his fellow ethics committee colleague judge Hans Joachim Eckert, who created the “erroneous” 42-page summary. In light of such criticism, FIFA have announced plans to release the full 430-page report created by Garcia. However, much of this report is expected to be heavily redacted for the sole purpose, as claimed by officials, to protect the identity of certain witnesses. It is unknown how heavily edited this report will be. The frequency of these scandals has become laughable. The emergence of weekly revelations about misdoings simply depicts FIFA as arguably the most corrupt organisation in the world. Calls for significant reform seem to be falling on deaf ears. The hugely unpopular FIFA President Sepp Blatter looks likely to run unopposed in the next Presidency election and so, much to the displeasure of football fans across the globe, the beautiful game looks likely to continue down a road of peril and decline. Having held the position for over 16 years, Blatter seems completely untouchable. His long years at the top of football’s world governing body and close connections have allowed the seventy-eight year old to seal the support of five out of 6 continental bodies, with only Europe withholding their endorsement. The 2018 and 2022 World Cup bids demonstrate how farcical things have gotten. As seen with the Sochi Olympics, budgeted funds have a habit of disappearing once they arrive in Russia. It is alleged that half of the $51 billion, that was set aside for developing Sochi’s infrastructure and venues, has simply disappeared. Many fear that this will be repeated in 2018. In addition, Russia has faced international condemnation in recent months over its government’s foreign policy and treatment of LGBT people in society. The annexation of the Crimean peninsula has led to calls within the footballing world for a complete boycott of the tournament. Similarly, it seems illogical for FIFA, an organisation that endorse a strict anti-discriminatory message, to hold its most prestigious event in a country that refuses to offer its citizens equal rights based on sexual orientation. FIFA must surely be aware of the unconvincing message its selection of Russia is sending to the world. Worst still is the 2022 Qatar bid. It has emerged that former Qatar official Mohammed Bin Hammam made $5 million worth of payments to FIFA officials in exchange for support for the Qatari bid. 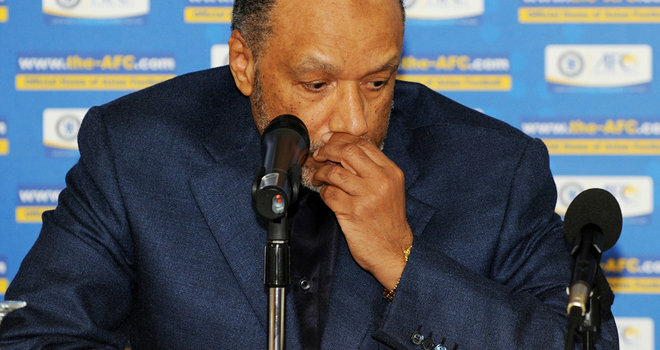 Hammam, who has had two lifetime bans issued to him in 2011 and 2012, previously held the once coveted office of President of the Asian Football Confederation. 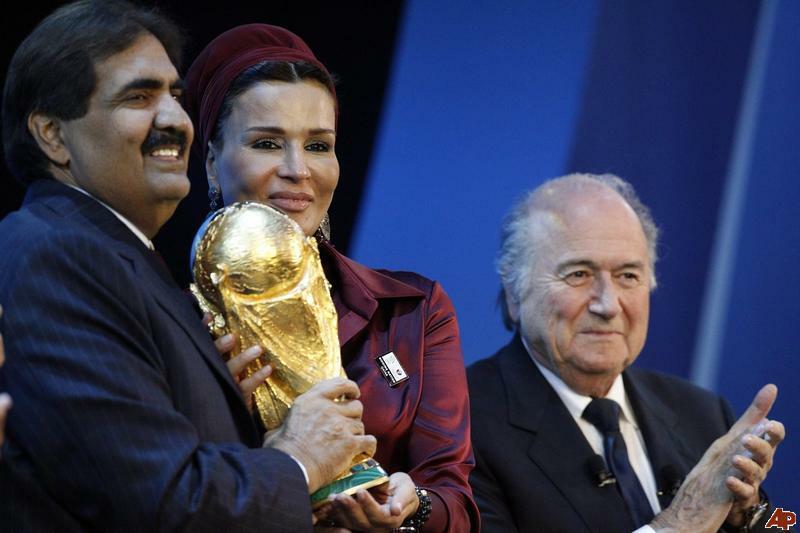 The decision to award Qatar the World Cup has left many football fans scratching their heads. Firstly, the tournament will be played during the Summer of 2022, when average temperatures reach the sweltering heights of 42 degrees; this will surely have an effect on the quality of football on show. Secondly, Qatar strictly enforces a prohibition of alcohol. For decades, it has become tradition for sports fans to enjoy the matches while drinking a cold pint of beer. Given this, and the fact that one of FIFA’s biggest sponsors is Budweiser, leaves many people questioning the logic behind FIFA’s decision. However worst of all, Qatar’s treatment of migrant workers continues to violate basic human rights. Safety regulations in the Qatari construction industry are simply ignored; injuries and even deaths are common. Given that eight of the twelve football stadiums are still to be constructed, it has been estimated that 4,000 construction workers will lose their lives before a single ball is kicked. Is FIFA really willing to accept this? For the right price, it seems they are. Additionally, many of Qatar’s construction firms have begun confiscating the passports and identity cards of their employees, forcing their workers to work, often without pay, in order to regain them. With such flagrant violation of human rights, it is surprising that FIFA would award arguably the world’s greatest sport events to such a country. Football remains the most popular sport on the planet. With heroes such as Pele, Diego Maradona and Bobby Charlton, it is meant to act as a source of inspiration and offer a level playing field for children across the globe, regardless of their situation. However, no matter what is achieved on the pitch, the grotesque actions of FIFA will continue to undermine all aspects of this phenomenal sport. The release of the Garcia report will be a monumental test for the organisation. FIFA can either continue down its current path of endorsing slave labour and turning a blind eye to corruption, or could instead return to its original purpose; of promoting the beautiful games in its purest form. Significant reform is required, and until such change is brought about, FIFA’s outrageous practices will simply undermine and insult the incredible feats achieved each day by footballers around the world.